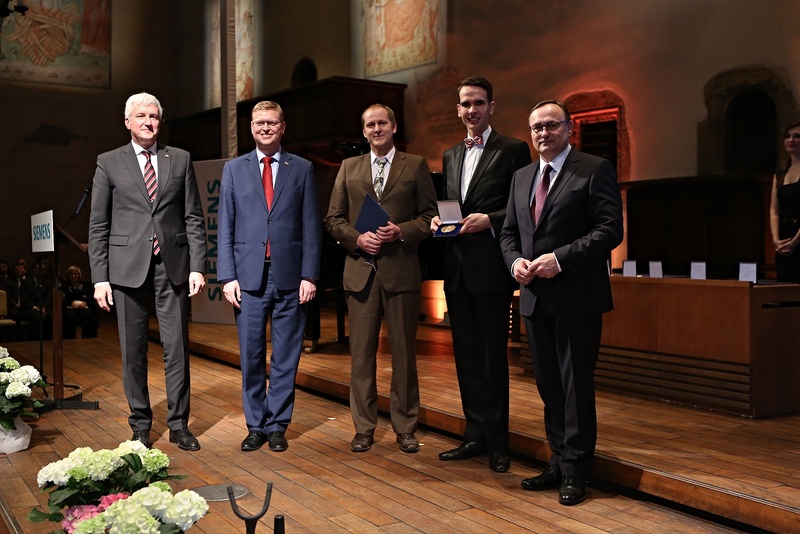 The Werner von Siemens Award is one of the most important independent initiatives of this kind in the Czech Republic. The Award, organized annually to support Czech science and higher education, is held in cooperation with leading Czech universities, the Czech Academy of Sciences and under the auspices of the Ministry of Education, Youth and Sports and the Ministry of Industry and Trade. 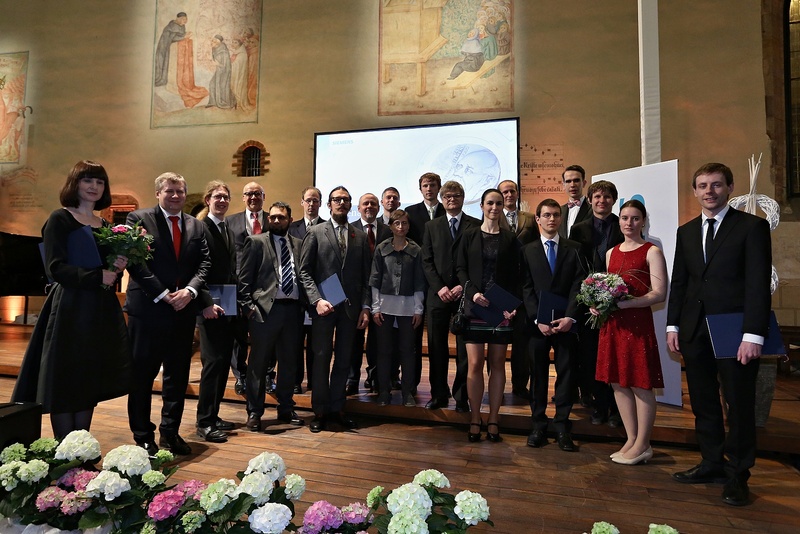 Siemens CZ awarded talented students, young scientists and university teachers in five categories. The awarded team of researchers includes prof. Ing. Filip Železný, Ph. D., dept. of Computer Science FEL CTU in Prague, Radomír Černoch, Msc., PhD student at dept. of Computer Science FEL CTU in Prague, Ing. Ondřej Kuželka, Ph.D., postdoc at the Cardiff University a RNDr. Jiří Vyskočil, Ph.D., researcher at CIIRC CTU. The development of CyberCalc would not have been possible without the help of programmers Ing. Matěj Holec and Bc. Josef Hájíček, both at FEL CTU at time of their involvement. A big credit goes to professor Jiří Matas (FEL CTU) who conceived the collaboration and helped steer the project in its genesis phase. Photo by Siemens: Team members Radomír Černoch (2nd from right) and Jiří Vyskočil (3rd from right).